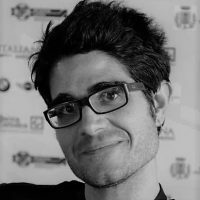 Thomas Fazi is a writer, journalist, and activist. He is the author of The Battle for Europe: How an Elite Hijacked a Continent – and How We Can Take It Back (Pluto, 2014) and of Reclaiming the State: A Progressive Vision of Sovereignty for a Post-Neoliberal World, co-authored with economist Bill Mitchell (Pluto, 2017). European progressives must prevent Macron and others' efforts to increase the extent of the EU's fiscal union, as these will only make Europe more undemocratic and neoliberal. Viewed with suspicion, TTIP hangs over us like a dark cloud. Deemed as a threat to social rights, welfare, the environment and constitutional sovereignty, a civil society resistance movement continues to gain traction. In light of a recent leak by Greenpeace Netherlands further exposing these threats, it is time now to reassess the state of play. Quantitative Easing for the People! Despite some positive signs, the European economy remains extraordinarily weak. To escape deflation and solve problems like unemployment, what is needed is a whole new approach to getting money into the economy. The sovereign bail-outs of Greece, Ireland, Spain and other countries are often framed as loans handed out to the poor, irresponsible countries of the periphery by rich, responsible countries like Germany. They might come with very harsh conditions attached, but their aim is nonetheless to help the recipients. But is that really the case?